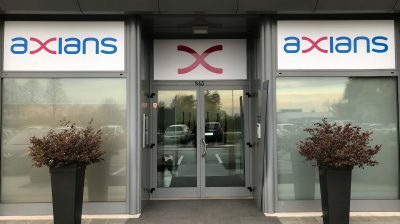 Axians Cybersecurity Italy is an Axians service that specialises in computer security. It is based in Milan, with branches in Vicenza, Bologna and Rome. “Protecting technologies, processes and people starting from a careful analysis of each client. Being part of the Axians European alliance, it works against cybercrime in collaboration with specialist centres in other countries. These are the cornerstones of the offer made by Axians’ new organisation dedicated to computer security, which also guarantees Security Information and Event Management (SIEM) services, vulnerability management, monitoring as a service, in addition to advanced protection in SCADA environments. Axians Cybersecurity Italy is for enterprise-grade companies that operate in different sectors: retail, fashion, GDO (large-scale retail distribution), cruise ships, banks, multi-utilities and central public administration. The objective is to continue growing, just like Axians is doing at a world level. Axians Saiv designs, produces and manages a wide range of ICT solutions and services for both the private and public sectors. Thanks to our transversal organisation and extremely qualified staff, we can offer highly complex services and realisations that meet the specific requirements of any client, no matter what business sector they are in. Axians Saiv’s value lies in its ability to offer solutions based on the principles of scalability and integration, while guaranteeing stability and high performance levels even with other types of system/structure that have already been installed. 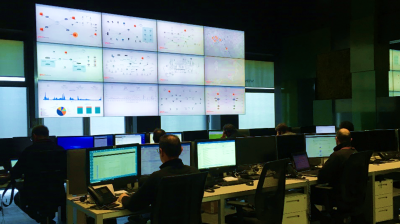 Axians Sirecom works in Italy and the world with the aim of designing, producing and giving support over time to the infrastructures at the base of the digital transformation of companies. We strongly believe in interaction with the international organisations that discuss and define the standards of infrastructure conception, design, and installation, because we are convinced that clients receive additional value from our approach to them, where models and concepts are presented before any kind of technology. This is why we work with a selection of technological partners following the criteria of innovation, global sustainability and reliability over time.